Boyds Mills Press, 9781629798509, 256pp. In this supernatural historical mystery, twelve-year-old Bone possesses a Gift that allows her to see the stories in everyday objects. When she receives a note that says her mother's Gift killed her, Bone seeks to unravel the mysteries of her mother's death, the schisms in her family, and the Gifts themselves. In a southern Virginia coal-mining town in 1942, Bone Phillips has just reached the age when most members of her family discover their Gift. Bone has a Gift that disturbs her; she can sense stories when she touches an object that was important to someone. She sees both sad and happy--the death of a deer in an arrowhead, the pain of a beating in a baseball cap, and the sense of joy in a fiddle. 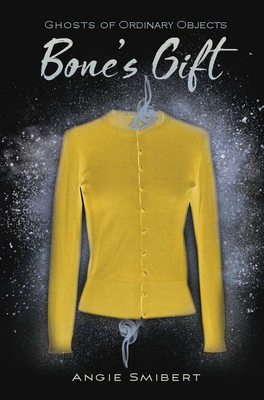 There are also stories woven into her dead mama's butter-yellow sweater--stories Bone yearns for and fears. When Bone receives a note that says her mama's Gift is what killed her, Bone tries to uncover the truth. Could Bone's Gift do the same? Here is a beautifully resonant coming-of-age tale about learning to trust the power of your own story. Angie Smibert is the author of several young adult books, including Memento Nora, The Forgetting Curve, and The Meme Plague, numerous nonfiction books for children, as well as many short stories for both adults and teens. She also worked for 10 years at NASA's Kennedy Space Center. She lives in Roanoke, Virginia. Visit angiesmibert.com.